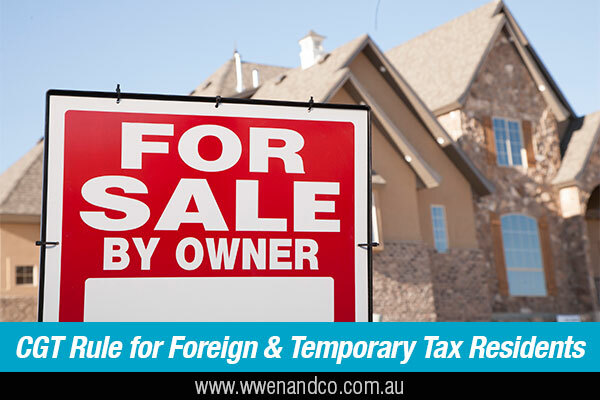 Australia’s foreign resident capital gains tax (CGT) rules will be extended to deny foreign and temporary tax residents access to the CGT main residence exemption. This change applies from the date of announcement, 9 May 2017. Properties that were held prior to this date will be exempted until 30 June 2019. The Government has amended the change to the main residence exemption to ensure that only Australian residents for tax purposes can access the exemption. As a result, temporary tax residents who are Australian tax residents will be unaffected by the change. The ATO will accept tax returns lodged during the period up until the proposed law change is passed by Parliament. Past year assessments will not be reviewed until the outcome of the proposed amendment is known. for properties held from 7:30 PM (AEST) on 9 May 2017 and disposed of after 30 June 2019 – back to the 2019–2020 income year. If you lodged your tax return in accordance with the changes you do not need to do anything more. Those taxpayers who did not return their capital gain will need to seek amendments and obtain or reconstruct records to support any costs associated with the property. No tax shortfall penalties will be applied and any interest accrued will be remitted to the base interest rate up to the date of enactment of the law change. What’s more, any interest in excess of the base rate accruing after the date of enactment will be remitted where taxpayers actively seek to amend assessments within a reasonable timeframe after enactment.